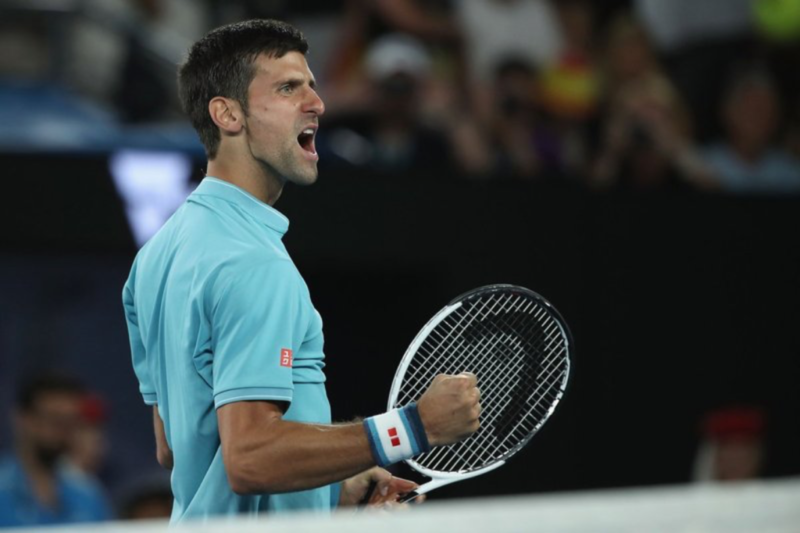 Should Novak Djokovic be an underdog in the 2018 Australian Open? The first Grand Slam of the year is upon us, with this year’s Australian Open set to be a hotly contested affair. There is a plethora of dark horse contenders who will be looking to upset, such as 2018 Hopman Cup finalist Alexander Zverev, Grigor Dimitrov, Juan Martin Del Potro, and even Australia-native Nick Kyrgios is in the running make waves at the 2018 Aussie Open. Next, we turn to the headline contenders. With Andy Murray still suffering from injury troubles, the elite class of the Australian Open this year is boiled down to three star players – two of which are returning from injuries. After an almighty 2017 campaign which saw him win the Australian Open and Wimbledon, the ever-youthful Roger Federer kicked off 2018 by winning the Hopman Cup on the 4th January. Then comes Rafael Nadal and Novak Djokovic, who have recently recovered from a knee injury and an elbow surgery, respectively. Having won so many Australian Opens in recent years, you would be forgiven for thinking that Djokovic would be the shoe-in favourite to win this year’s Grand Slam, but that is not the case. Having missed the majority of 2017 after finally having elbow surgery, the Serbian superstar competes in the Kooyong Classic prior to the start of the Aussie Open to test his fitness. Despite winning the Grand Slam in 2008, 2011, 2012, 2013, 2015, and 2016, Djokovic comes in as the third-favourite to win it this year, sitting at 5/1 in the tennis betting, behind the 9/2 Nadal and 7/4 Federer. It appears as though experts in the field are doubting Djokovic’s ability to return to his trademark intensity and elite-level of play so quickly after such major surgery, but he may prove them wrong, and come back stronger than ever. Without an injured elbow to play through and having had plenty of time to recover, once Djokovic has shed the rust, he should be one of the favourites to win any given Grand Slam in 2018. Coming in as the second-favourite this year is Rafael Nadal, who will also be competing in the Kooyong Classic to shed some rust, is still a major doubt for the Australian Open. While he’s expected to compete in Melbourne, his coach has claimed that they are very wary of any potential aggravations on his recently recovered knee injury. Nadal shared the glory of 2017 with Federer, with the two splitting the four Grand Slams, but the start of his 2018 campaign looks to be in jeopardy. Finally, the favourite to win the first Grand Slam of 2018, Roger Federer. With two Grand Slam wins in 2017, Federer kicked off 2018 on the right foot. The Swiss maestro alongside Belinda Bencic won all three of their Hopman Cup group stage games 3-0 before emphatically beating German wunderkind Alexander Zverev and Angelique Kerber 2-1 in the final. Unencumbered by injury and in a fine run of form, Federer is certainly the man to beat in the 2018 Australian Open. It’s set to be a superb tournament to kick of this year of tennis, and while Federer is expected to win it all, if Novak Djokovic returns to form quicker than expected – now injury free – his initial underdog status could be seen as misplaced as he guns for a sixth Aussie Open win in eight years.